The group's BTS has released their additional concept photo of their new album MAP OF THE SOUL : PERSONA. BTS presented their third and fourth version of the concept photo together on their official website and SNS channel at midnight on April 3.. The third photo released gives a confident and excited of BTS. It conveys a warm atmosphere in a scene where the seven members sit a side by side and looking at the camera and posing with a light smile. The fourth photo released together, it draws attention with languid eyes and facial expressions. It's the opposite of the third photo. It uses pink lights to emphasize the side lines and eyes of the face, showing off their soft charisma. Previously, BTS released the first and second concept photo of their new album on April 1. Immediately after it released, the concept photo received a heated response by becoming a real-time trend on Twitter. 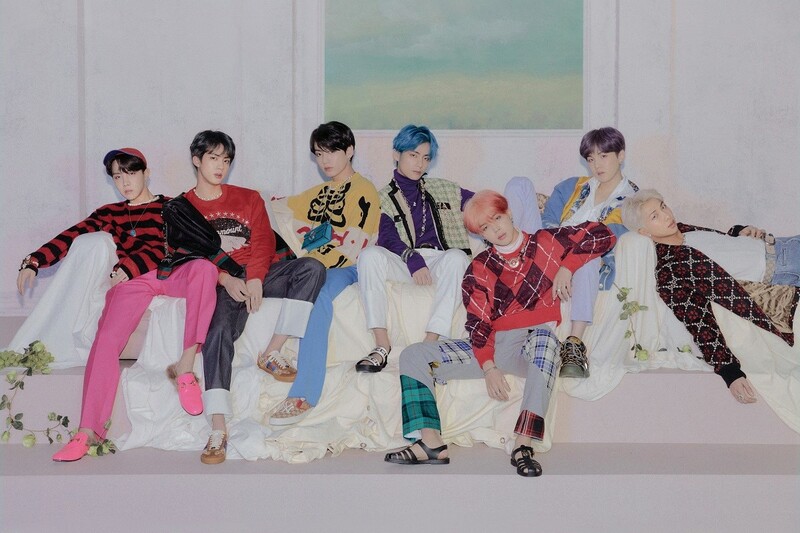 BTS will release MAP OF THE SOUL : PERSONA globally on April 12. It has continued to top the bestseller list for Amazon CDs & Vinyl since the first day of preorders on April 13.